A range of BPA free storage containers, ideal for children. 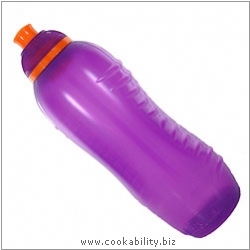 BPA free drink bottle with Sistemas twist n sip lid - no unclean hands pulling at tips. Colour may vary.